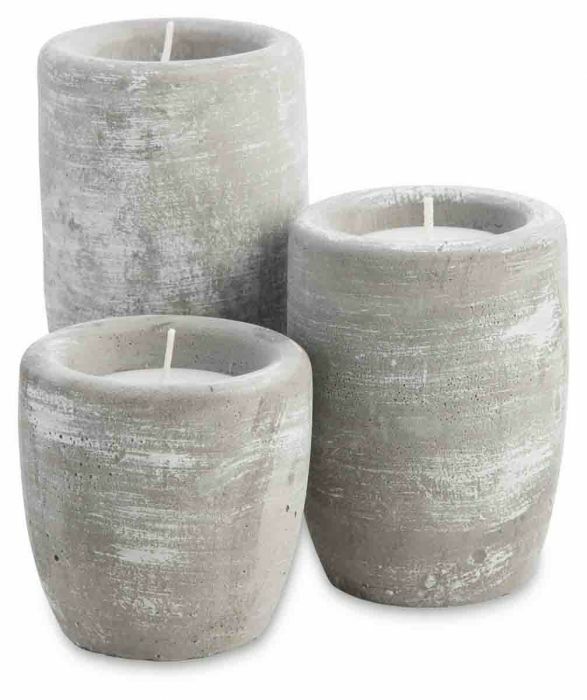 Available in a set of three, these Cement Candle Holders with White Wax are the perfect solution to placing candles outside on the patio or deck. Equally at home in a living area, the candle holders could be placed together in ascending size, or spread around the living or entertaining area. Crafted from cement with wax on the inside, these candle holders come in a muted grey and white combination to complement any decor. Sturdy and durable, the three candles have burning times of 7, 5, and 4 hours respectively.